OK so we know that flourescent bulbs are "greener" but have you looked at your reflection under a flourescent bulb? 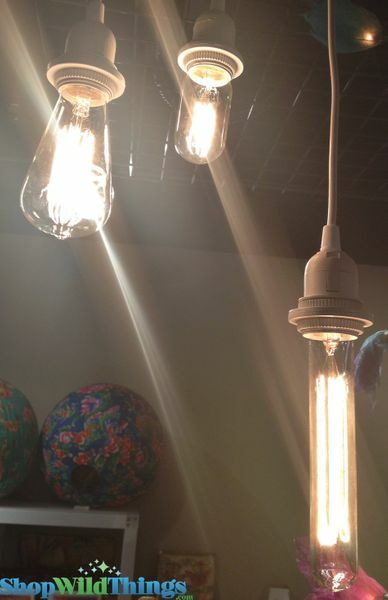 Hmmm...so enter our Vintage Antique Filament Bulbs and look fabulous all the time! 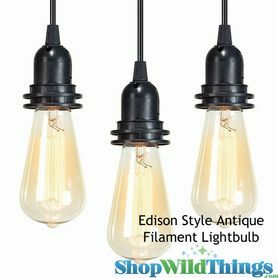 These bulbs are known for their soft glow and ambient light. The super-cool look of these bulbs is just the icing on the cake. You look amazing, the lights look amazing, it's really a win-win. 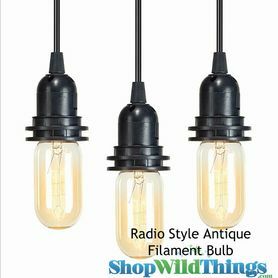 You can put them in a light fixture OR simply hang them from an electrical cord with a socket (not included). SO easy! 40 Watts 7" tall sold individually.